Don and Nicole Turzinski opened Precision Glass & Door, LLC, in 2005 as a family-run, community-minded operation. 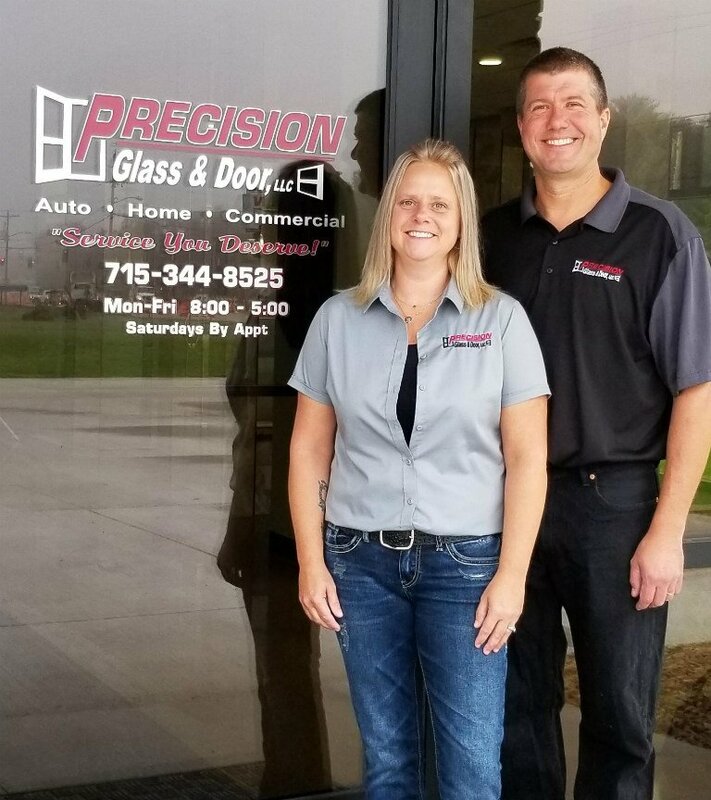 Since opening their doors on Post Rd., Precision has become Central Wisconsin’s premier glazier service. With more than 25 years experience to their credit, the Turzinski family now employs 10 professional glaziers and installers. With over 100 years combined experience in the industry, their team can handle everything from a small glass picture frame to a complete commercial storefront, and everything in-between. Precision regularly works with insurance companies in replacing home and auto glass; and also offers screen repair as well as decorative glass work. The Precision team specializes in custom shower doors and enclosures. Precision’s work is regularly featured in the annual Parade or Homes, sponsored by the Golden Sands Home Builders Association. Precision also supports local youth sports programs and the Portage Co. Humane Society. In 2016, the team at Precision was required to relocate due to the expansion (widening) of Business 51/Post Road in Whiting. The new location is now open for business at 3101 Post Road in Stevens Point. What can you expect from Precision? A high level of professionalism and industry knowledge — and the “Service you deserve”.